It’s the month March and that means Saint Patrick’s Day is just around the corner. 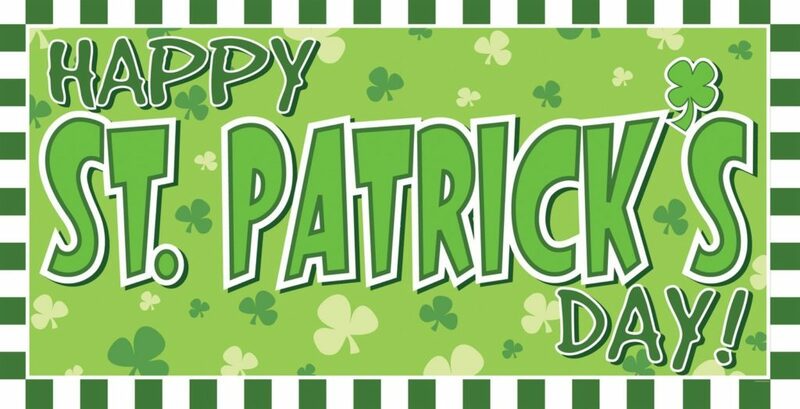 A famous holiday even here in the states, Saint Patty’s Day is of course linked to the country of Ireland. Ireland, of course, is associated with the luck of the Irish. Tons of films, books, songs and more have been created all exploring this phenomenon of the luck of the Irish. Some notable symbols of luck include the ever evasive four-leaf clovers. Plenty of three leaf clovers are found all the time, but it’s the four-leaf ones that are truly believed to be full of luck. Another popular icon of luck is the leprechaun. We all are very familiar with the legendary luck icons of Ireland. Plenty of films (some horror ones even!) have been made involving leprechauns. Some may think of bringing good luck to our escape rooms here, but luck itself isn’t needed to escape our games! Rather, problem solving and teamwork are what you need to boost your chances of escaping our rooms. While the games are all solvable, one of the challenges of the room is the hour time limit you have to escape. Teams must figure out how to best utilize their time during the game if they want to escape in time. And when it comes down to it, it is about planning and working together that helps with that, not luck. This is why it is such a great activity for Corporate Team Building, birthday parties, bachelor parties, bachelorette parties, and just going out to celebrate. So as we celebrate the month of March and Saint Patrick’s Day, be sure to bring your four leaf clover hats and leprechaun attire as you play our escape games! Call Urban Escape Games at 678-805-2189 and book your Escape Room or go to www.UrbanEscapeGames.com . Can you escape in time?